Does anyone out there want to hear another good report. YEAH!!! PTL!!! My mother came home from the hospital today. A week ago, the doctors were trying to prepare us for her soon death with ovarian cancer. Marv and I and the family stood and prayed according to her Blood Covenant promise as we believe that every child of God's sicknesses and diseases were already born in Jesus' body for us and by His stripes we are the healed. Two of the surgeon's assistants told us that when the surgeon found two very large twisted tumors and found out from pathology before they closed Mom up that the tumors were benign, the surgeon put her hands up in the air and yelled, "YEAH! It's a miracle." We agree! Then we had a bit of a set-back as they prescribed many narcotics to wipe out my mother's memory of the pain from this extensive surgery. In so doing, my mother lost an entire day of her life, became extremely confused and went into delirium, something which often happens to older people who take narcotics. As a result, since she wasn't coming out of it as quickly as they thought she should, they of course ran every test in the books on her only to find out that at 84 years old she is very healthy. I asked her nurse from India if it would be possible to not give my mother the allowed drugs for pain as I knew Jesus would take care of it. She nodded her head and said, "I have heard that you are a doctor of naturopathy and my grandfather and father in India both used herbs and natural things for healing for people." So I had full cooperation there. My mother slept through the night, except for waking up at midnight to greet the New Year and eat a half of sandwich with me. I have to give thanks also to my mother because she honestly has the sweetest nature of love for any human being I have ever met. There is not a selfish bone in her body and she is kind and considerate of everyone. Even in her state of confusion, she continually wanted to give everyone a special gift of love and appreciation. She never complained one time, just smiled at everyone. The doctor told her today that she could go home but that she had to walk first. She got right out of her hospital bed and walked down the hallway of the hospital without even a walker. She is home now and between my sisters and myself we will take care of her for the remainder of this week and her life on this earth. If I could tell anyone, I would tell you all thank you for your love, prayers and support and friendship, as well as telling the whole world that I love Jesus with all my heart and His Word and His life have proven true again. Just wanted to share the good news and thank you all again for your love and prayers. Blessings upon the New Year for you and yours! May this year be a year filled with every good thing given to us from our Father above. 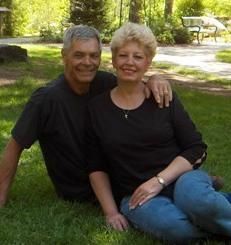 Donna and her husband, Marvin, from Loveland, Colorado, USA, have been partners with FMIN since 2001. Marvin as president and overseer and Donna as preacher and Doctor of Naturopathy, have spread the gospel across the US and in over fifty three nations. I thank the Lord for everything He has done for you. I know you from FMIN Newsletters and prayer requests. I have been praying for you. May the Lord continue sustaining you.